We’d love your help. 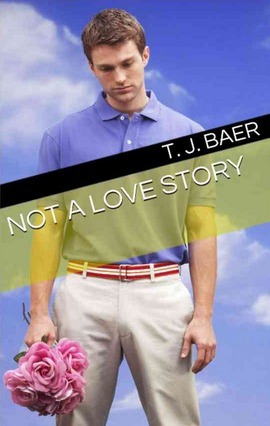 Let us know what’s wrong with this preview of Not A Love Story by T.J. Baer. A witty, surpris Devastated over his latest break-up, Jason hides out in his apartment while the take-out boxes and empty bags of cheese curls pile up around him. When Bea stops by to cheer him up, they embark on an afternoon of board games, psychoanalysis, Star Wars references, and cockroach eviction, and Jason learns the value of a good friend and a well-placed lava pit. Published January 2014 by Amazon Digital Services, Inc.
To ask other readers questions about Not A Love Story, please sign up. Born in a small town in Pennsylvania, T.J. Baer wrote her first novel-length work at the age of thirteen, though it was never published due to being spectacularly awful. After graduating from college and spending a dull handful of years working a computer job, she ran off to teach English in Japan and ended up living there for four years. She’s been teaching ever since, and now lives in Chicago wit Born in a small town in Pennsylvania, T.J. Baer wrote her first novel-length work at the age of thirteen, though it was never published due to being spectacularly awful. After graduating from college and spending a dull handful of years working a computer job, she ran off to teach English in Japan and ended up living there for four years. She’s been teaching ever since, and now lives in Chicago with her cat, who is a decent enough roommate but never chips in enough for rent.